Willie John Hughes was born April 23, 1880 in Rathmolyon, County Meath, Ireland. He professed in 1905 and went in the work in 1906. He died Oct . 5, 1966 in New Zealand, and is buried in Pukekohe, New Zealand. He worked in Ireland (1906), Victoria (1907-1909), New Zealand (1909-1913), Nova Scotia (1913-1917), South Australia (1918-1941) and New Zealand (1941-1966), the latter two assignments being as Overseer. His brother Charlie was overseer in New York/New England and Virginia/Maryland for many years, and a sister Aggie was in the work in Australia, where she died at age 52. He was a good speaker and administrator, very personable, as well as being quite talented musically and poetically. He wrote a few hymns found in Hymns Old & New. The following is a copy of a letter written to Willie Hughes, and a copy of his reply. The two have been combined to make it easier to follow the questions by inserting the answers after the questions. There were strong active Lutheran communities throughout South Australia due to its strong German heritage, and a number of the friends came out of these. Willie Hughes, Overseer of SA, arranged some debates with the Lutherans, and one was held at Semaphore in the home of Mrs. Milne on April 23, 1931. The Lutheran team consisted of of Pastors Wiebush, Janzow and Zweck, with Pastor Wiebush from Gawler acting as their leader. Also present were Arthur McCoy and Mr. Geue (probably Herman), and perhaps others. Pastor Wiebush drowned some years later. 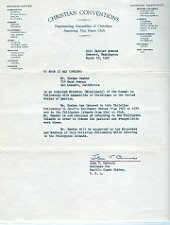 Following up our discussion permit me to place before you a number of questions. It seems to me that the testimonies of your people do not on all points agree. I have spoken to a number of your people and would be pleased to receive from you an official statement in writing. If you desire I will supply you with printed statements of our confessions. We both claim the Bible to be our only standard, now it remains to be seen whether our interpretations of the Bible agree. That, of course, can best be done by producing a written confession concerning the Bible and its teachings. Certainly questions of practice do come into consideration. The following are the questions. 1. Would you kindly give me the origin and history of your organisation? Ans:. 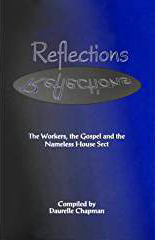 The religious world has passed through many stages of apostasy and reformation, since Christ and His apostles established Christianity upon the earth, but we have no reason to think, nor right to say that God has not at all times been able to preserve a true seed in the world, a seed or people who have always looked beyond form or schism and creed back to the Way and Truth of Christ. Back to Christianity in its purity and simplicity, back to the living Christianity which was very much more than a creed, back to the Christlike humble sacrificing ministry as exemplified in the New Testament apostles, back to a Christianity which refused all conformity to the world. But (perhaps as a sign that the world is nearing the return of the Lord to the earth) there has in recent years been a very real and distinct turning of the minds and hearts of men and women towards its simplicity and purity of early Christianity. 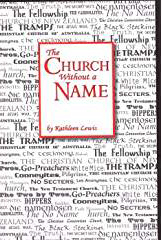 This is undoubtedly attributable to what we may call the modernisation of Christianity, the lack of clear unequivocal preaching of the Gospel of Christ, the tendency of holding only a head belief in Christ, instead of a faith which leads to true discipleship, questionable ways of raising money for religious work, flirtation with the world in its pleasures, sins and fashions, and other things which the Bible says would prevail in the last days. The foundation and authorship of this movement cannot be attributed to any one man or number of men but is the result of reaching after Truth, during a number of years, of many men. Many no doubt have been unwilling for the sacrifice, when their minds were turned back to the lowly way of Christ, but others have been willing to sacrifice everything in their desire to get back to the simplicity and sincerity of the early Christianity and to lead others to do likewise. This is our aim--it is heartily welcomed by some but hated by others. This is as simply as I can put the case although our desire to follow the one Lord and to preach his Gospel binds us into a very real fellowship, we have neither any headquarters on earth nor a Headman . Our preachers are all on the same level (as Christ said they should be) and so we desire to be known only as Christians or followers of Christ. 2. By what name do you desire to be called (your society)? 3. Do you believe (by you I always mean your church or society) that the Bible is the inerrant word of God? 4. Do you believe in the verbal inspiration? Ans: Yes as originally written, we must make allowances for mistakes in copying. It is entirely the inspired Word of God. 5. Do you believe that it is possible for a man to come to the knowledge of the true faith, simply by reading the Bible without having heard a preacher? Ans: We would not dare to say it is impossible, but prefer to tell people that it pleased God through the foolishness of preaching to save them that believe. 6. Do you believe that the Bible is clear, and if there is any darkness, that exists in the mind of man? Ans: The bible is clear, but man by his nature is blind to the things of God. 7. Do you believe the Word of God to be effective even if it is preached by an unbeliever? Ans: I would not use such a statement. It leaves the door open for unrighteous living and hypocrisy. If God cannot give the message, it is vain to try to preach without Him, and His word leads us to believe He looks for clean lips and lives. 8. Do you believe Jesus is the Son of God? 9. Is it correct to say Jesus overcame his own flesh? Ans: I would not use such a statement. He took upon Himself our nature (Heb 2:14-16). He was in all points tempted like as we are yet without sin. (Heb 2:19, 4:15). 10. Is it scriptural to say that Jesus made our salvation possible? Ans: It depends on what is meant by the expression. When man could not do one thing to save himself, Christ made the only atonement which could be made in His own blood, but man must accept, surrender, give him that which He has purchased, else although Christ made it possible for every soul to be saved and that salvation is complete from God�s standpoint, the faithless person remains unregenerate. 11. Is it scriptural to say we also must do our part or share towards salvation? Ans: Our part is to co-operate with God by giving Him that which he has redeemed with a willingness on our part to crown Him Lord and King and be His disciples. 12. Will you briefly explain Romans 5:10? Ans: The life referred to is the indwelling life of Christ, which becomes ours through a definite act of faith and surrender. It is referred to in John 5:24, 6:53, 10:10, II Cor. 4:10-11, Gal: 2-20, 4:19, Eph: 3:17, Col. 2-6, I John 5: 11-13 etc. 13. In what relationship stands Sanctification to Justification? 14. Will you briefly explain the way to salvation? Ans: This is a big question to reply to by a mere answer to a question, but I will try to answer it. God sent His beloved son from heaven, He came to earth and lived a life which perfectly pleased His Father, He lived here as the light of men, as the Way, the Truth and the Life. He gave the world the only perfect manifestation of Christianity of the word made flesh dwelling among us, He was crucified for our sins. He arose from the dead for our justification, He ascended to God's right hand, He ever liveth to make intercession for us, He is coming again as the angels promised on the Mount of Ascension, He sent forth preachers with the Gospel in the way He went Himself, so that by life and lip they might make known to sinners. The Gospel must be preached in such a way as to produce individual conviction of sin and need and produce the cry from the heart of the unregenerate person What must I do to be saved . The messenger of the Gospel points the sinner to Christ, and assures him that God made all provision that his sins may be forgiven. And as he considers the necessity of becoming a true disciple, but feels his inability in himself to be saved, he is shown that Christ who knocks at the door of his heart is only waiting to come in and give him power to become a son of God (John) . He accepts Christ by faith, God receives him as a child. God sees the willingness in his heart for discipleship and forgives and regenerates. The work of salvation was accomplished on Calvary for him now it is an accomplished fact in him. He values the precious promise of God. If we walk in the light as He is in the light we have fellowship one with another and the blood of Jesus Christ cleanses us from all sin . He goes on to live the life and render obedience to the Spirit of God, because of what God has done for him. He ever remembers there is only one pattern for the Christian that of Him who left us an example that we should follow His steps. 15. Is it possible for anyone to be saved if he turns in true repentance and faith to Jesus during his dying moments? 16. Do you believe there are true Christians in other churches where some Word of God especially sin and grace is still being preached? Ans: We never pass judgement in such a manner. We feel that we can safely judge systems and doctrines and practices by those which Christ laid down, but the judgement of individuals must be left to Him whose right it is to judge all men. 17. Is it scriptural to induce members of others churches to leave or join your society? Ans: The people who are in fellowship with us have all professed conversion, regeneration through our ministry. We can never turn away our ears from the cry of the lost sheep. 18. Can a man attain sinless perfection in this life? Ans: Paul said near the end of his life Not as though I had already attained either were already perfect . We cannot expect more than this in our day. 19. What can save a man? Faith in Christ, or the life that he leads? Ans: It is the faith in Jesus Christ which saves, but true faith is proved by discipleship and Christian service. 20. What do you consider means of Grace? The Word of God? Baptism? The Lord�s Supper? 21. Do you believe in infant Baptism? If not, why not? Ans: No. Because it is nowhere commanded in the bible and there is no definite instance of it having been performed. Those who were baptised in the New Testament were the converts of the Servants of God as a result of their preaching. 22. Will you briefly explain the manifestation of the Spirit of God? Ans: The Spirit of God is given as a seal of the faith to the believers. Eph. 1:13, as giving power to witness in the gospel Acts 1:8. He shall teach you all things John 14:26. He convinces of sin of righteousness and of judgement John 16:8. He will guide you into all truth John 16:13. He becomes another Comforter John 14:16 These are among the manifestations of the Holy Spirit. 23. Has your society ever discouraged marriage of their preachers? Ans: Our views on marriage are no different from those of orthodox people, they have never differed from what is expressed in I Cor 7, where Paul shows that he sees advantage from the standpoint of the Gospel in his position of an unmarried man. But he clearly states in this chapter that those who marry commit no sin. In another place he (supposedly the writer to the Hebrews) states that marriage is honourable in all. Heb 13:4. 24. Has your society ever discouraged their people to pray the Lord�s Prayer? If so, why? Ans: No, but we do not look on the words When ye pray say etc. In Luke 11:2 as a command, on account of the words in Matthew 6:9 After this manner therefore pray ye. 25. Do you permit your women to preach? If so on what authority? Ans: Yes the prophecy of Joel fulfilled in Acts 2:16-18 seems sufficient authority but there is also example of women who at different times laboured with Paul in the Gospel. 26. Will you briefly explain the method of your commission? Quoting scriptural authority for it? Ans: We understand Matt 10 & Luke 10 as given to show that Christ sent forth a ministry as He himself went. He sent them to represent Him in his manner of life as well as in His teaching. He caused two backsliding disciples who had sold their garments and bought two swords to admit that His way had worked perfectly Luke 22:31-38. In Mark 10:28-30 we see where the disciples were able to say We have left all and have followed thee and Jesus answer to them. After the resurrection Peter and John could say silver and gold have I none . We see no change from this in the lives of any of the Apostles in the New Testament. 27. Will you briefly explain the difference between people (adherents) in letting their preachers live in various houses of the people or in renting a house for their preachers? Ans: Wherever there is a difference between what was done in the New Testament and what men have done and arranged in later times, the difference is vital. The preachers in fellowship with us are for the greater part of their time labouring in the gospel amongst strangers and they stay wherever the Lord opens up the way for them. They live by Faith in God s provision. 28. Will you explain the difference in preachers taking money from their people and the preachers buy their food and also pay their fares as you and your preachers evidently do, especially when travelling, or the people pay their preacher weekly or quarterly money and buy their own food and pay their own fares, all of course in the interests of their people? Ans: We never know where provision for our temporal needs is coming from any more than Our Master, or Paul or others in the New Testament knew. Our part is to Seek first the Kingdom of God and His Righteousness and God�s promise is that these things shall be added to you. He was speaking of food and raiment. The other method of which you speak in your question is entirely man's arrangement. That is the difference. 29. 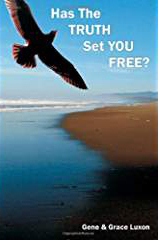 Do you print tracts or books and broadcast them thus giving testimony of the faith that is within you to all the world? 30. If you do not print such tracts or books (interpretation of the Bible as you understand the book), why not? Ans: We do not know of any scriptural authority for doing so and our experience of the work of those who use these methods does not encourage us to believe that such is the best method of getting the work of God done in peoples hearts. The Lord's plan was to send preachers to live Christ and preach Christ so that people before they make their choice in the Gospel may see it lived in the lives of the messengers. We believe this is best. 31. Do you encourage or forbid your people to read tracts or books of other churches so that they may also get acquainted with their teachings, or do you expect your people to take the preachers word what he has to say about other churches? Ans: Neither. They are quite free to read such. When people find Christ through the Gospel preached, and have been taught by Him as the Truth is in Jesus Eph. 4:31, they experience the prayer of David answered: Open thou mine eyes that I may behold wondrous things out of the Law, and prove the promise regarding the Holy Spirit He shall teach you all things and so are abundantly satisfied. 32. 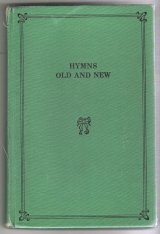 Do you use hymns from hymn books of other churches? Ans: Yes, it is easy to censor hymns and select those most useful and helpful. 33. Do you admit that anyone who has accepted your doctrine and was truly walking in the humble way of Jesus, as you people call it, may fall away again into sin? Ans: What happened to Judas Iscariot, Dumas and others in the New Testament, can happen to others in any succeeding age. 34. Do you send missionaries to the heathen countries such as darkest Africa, India, China etc.? 35. Do you consider it right to build churches? If so do you erect such church buildings? Ans: No. The early Christians met in homes and the keeping of the Old Testament Passover in no other place than the homes of the people foreshadowed this arrangement in the New Testament. 36. Do you have organised local congregations and do you believe that each local congregation should exercise the function of the office the keys of preaching the Gospel, administering the sacraments, forgiving and retaining sins? Ans: The Christian people in fellowship with us meet for fellowship in the manner I have just described. The position of a preacher is distinct from that of a Christian following his secular calling. The Corinthian Christians however observed the breaking of bread during Paul's absence just as when he was present. Our friends do likewise. 37. Do you believe God has given to his church on earth the power to forgive sins? Ans: We do not believe that any man of earth has the power to forgive sins, but as was said to Christ, Who can forgive sins but God only? Peoples sins are remitted or retained through their attitude towards the Gospel which was entrusted to those men to whom the Keys were given in John 20. P.S. Although I cannot give you a truly official reply to the above questions I have no reason to think that any of my fellow preachers believe differently. AND WAS AGREED TO WITHOUT A DISSENTIENT VOICE. Most of us will remember a statement which I made from this platform four or five years ago to this effect that "our attitude towards war must be one of individual conscience, and if any person feels that they can go further than others in the matter they must not be penalised, and it must not make any difference to our fellow ship". The years have now passed and the war is over. Although we declared in favour of this liberty of conscience, the result has been that 100 per cent of our men of military age have, because of freely exercised conscience on Christian grounds, found it impossible to take part in combatant warfare and 98 per cent found it impossible to take any part in warfare in any capacity. Christian profession. Of this 117, 14 were released because of age or Medical grading, and all but one of the others applied for release on parole as genuine conscientious objectors. 86 were allowed and 14 refused. That is, of 115 men committed to Detention, 100 have been released and 16 are still held. Therefore it has been proven that through the freely exercised individual conscience, we are a people who are 100 per cent against war. We may receive much blame for this but we have the satisfaction of knowing that we have not made one wife a widow or one child fatherless in the countries who became enemies to the British Empire during the recent world war. Our Missionaries were labouring in all those countries previous to the war, and we can go back to them with a good conscience, knowing that we did not go first with the Gospel, then with weapons of war and then return again with the Gospel. We have felt that our attitude was the only one which we could adopt consistent with our profession of loving Christ and His teaching and the souls of men of all nations whom He shed His blood to save.